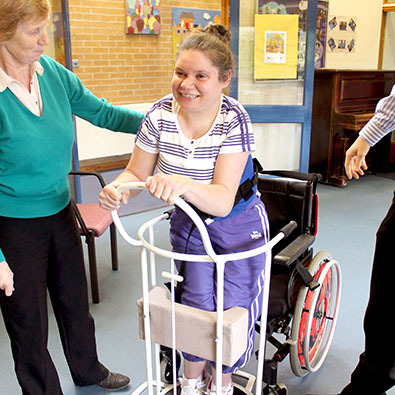 “Lisa’s physical disabilities present her with a number of challenges in day to day life; nevertheless Lisa leads a full and active life with a wonderful support network. Having tried a number of transfer methods, Lisa and I chose a rotunda stand which we hoped would negate the need to start hoisting. Unfortunately, due to Lisa’s hip and knee position when standing, the standard knee pad did not provide adequate support and posed a potential increased risk of falls while in use.